I guess I really didn’t know what to expect. I knew that the Hills were considered one of the most sacred places on earth to the Sioux tribes. I also know that the Black Hills are an extremely popular place for tourists to do all sorts of tourist things, with “attractions’ rivaling almost anyplace in the US. I know that there are those who think of Rushmore as a beautiful, patriotic monument to our country and it’s history, and others who are appalled by the whole idea of carving faces into a wild mountain. I can see both sides, but either way, I liked seeing Mt Rushmore and I like the story of its creation and its creator. But this morning as we drove west from the Heartland RV Campground into the southern end of the Black Hills, it was only minutes before the landscape began to reach down and touch something deep. The part that made this place sacred to the Sioux had absolutely nothing to do with sculptures or attractions. Mo and I kept commenting on how incredibly green it was, after the dry prairies. Green and yet somehow open. We were traversing Highway 36, east of Custer State Park entrance, and the valley was broad and dotted with homes here and there, and little roads that wandered off seductively. We had an agenda, however, and with only two days to explore this part of the country, there wasn’t time to follow the seductive roads and go hunting for ghost towns of a bygone era. Roger and Nancy and their dog Jackson were following Mo and Abby and I as we explored. It was impossible to fit 4 adults and two dogs into either of our cars for the day trip we had planned, but we had our trusty little handheld CB’s to keep us communicating. The magic of the Black Hills I think is largely a result of its amazing geology. Rising from the plains like a green island oasis, these hills are formed from some of the oldest rock on earth, a batholith of slowly cooling magma created granite filled with crystals of rose quartz and mica. Eons later the dome was surrounded by huge inland seas that eventually turned to fossil filled limestone and allowed the formation of some of the longest known caves on the planet. The Miocene Era brought tropical conditions that created red shales and sandstones at the edge of the island. Within Custer State Park is Mt Harney, at more than 7,000 feet the highest peak between the Rockies and the Alps! There are several roads to Mt Rushmore, but we chose to drive the Iron Mountain Road first toward Keystone and then after passing the monument, we would continue the loop to Sylvan Lake and back down to Highway 36 and home. The biggest surprise was actually how small it all seemed. I guess sometimes as westerners we are used to the vastness of our mountain ranges and deserts, and this island of rock and green didn’t seem nearly as big as I expected it to be. The forest is mostly Ponderosa Pine, with some of the cooler areas filled with Black Hills spruce. With pine beetle ravaging the forest, the park is actively managing to try to reduce the damage and danger in addition to creating good conditions for the restoration of the hardwood forests that are being encroached on by the pine. Much as juniper encroaches on grasslands in the west, the pines take over the hardwood forests when there isn’t any natural thinning process allowed. Our relationship with the natural fire cycles in the western forests in changing, but it is hard to let fires burn every 20 years or so when they would destroy all those houses that we now have in the middle of the forest. The Iron Mountain road is only a few miles long, but it is winding and twisty, steep, and punctuated with tight, low tunnels and curved bridges. It was an exciting drive, made more so by the sound of thunderous motorcycles all along the way. The Black Hills are famous for lots of reasons, and the big Sturgis Motorcycle Rally held the first week in August is definitely one of them. Of course, even with the rally another week away, the area is filled with bikers from all over the country, and probably from other countries as well. We did know that the actual Mt Rushmore monument area was a huge concession charging $11.00 to park (no senior park pass honored) and see the walk of flags, to read about the carving of the faces, to see it all up a bit more closely. None of us really cared to do all that, and decided early that we would bypass the visitor center in favor of the great views through the tunnels and from high vantage points along the highway. I must say that as we passed the bumper to bumper backed up traffic trying to enter the parking lot we were incredibly glad that we had made that decision! This morning, we had started our day with a big leisurely camping breakfast, and somehow didn’t think to pack a picnic for the rest of the day. Yeah, I know…what were we thinking?? We decided to try to find groceries in Keystone, but that was funny, and after driving through the Disneyesque town from one end to the other, we were relegated to a gas station food stop, where they told us the nearest groceries were 11 miles away. Picnic fare turned out to be a couple of apples, some orange juice, and string cheese, which was just fine. Mo and I were tired of eating anyway…seriously….the last week has been filled with way too much food! After we threaded our way past all the cars trying to get into the monument visitor center, we continued west toward Horsethief Lake, thinking we might stop there for a doggie swim or a walk. The traffic was a bit daunting, and from what we could see from the road, that little lake wasn’t very inviting. Instead, we decided to continue on to Sylvan Lake. I recently re-read Sherry’s blog about their visit to this area last fall and decided that Sylvan Lake would be worth taking the kayaks down from the top of the car. Again, once we actually arrived, I was surprised at how small it was. The traffic was tight, the parking lots almost full, but we managed to find a spot close to the water, and after a bit of waiting we even found an open picnic table under a shady tree. The sun was brilliant, the skies were perfectly blue, and the crowds didn’t seem to be much of a problem either, once we settled in. Taking turns by pairs in the kayaks worked out perfectly, and the four of us with our two dogs spent the rest of a beautiful afternoon enjoying one of the prettier places we have seen lately.. There were lots of kids swimming and climbing on rocks and sunning and diving into the cool water. The lake is surrounded by vertical granite pinnacles, and it seemed that no matter where you looked, there would be a kid or two silhouetted against the sky high on a rounded dome. As the afternoon wore on, we decided it was time to make our way home and we loaded up the kayaks, the dogs, turned on the radios and continued southeast along the Needles Highway. In no time, we were once again on an incredibly narrow road and were going through even more narrow tunnels until suddenly we were at something called “The Eye of the Needle” and cars were parked in all directions and jammed up waiting for a turn to get through the smallest tunnel of all. Mo and I saw several mirrors almost scrape the walls of the tunnel on some of the bigger vehicles coming through. That thing is tiny!! We were really glad we were in small cars and even then I worried about the kayaks. The Needles part of Custer State Park is fascinating and gorgeous, and there are even some turnouts where you could enjoy the views, but with all the traffic we weren’t too inclined to stop. Farther down the road we saw a Dall sheep, and then a lone buffalo who refused to even raise his head while folks crawled by snapping his photo. I would love to come to this place sometime when it wasn’t quite so full of cars and people because it really IS beautiful. But that is the part that was expected, the traffic and the people and the hot weather. After all, it IS late July in one of the most popular places in the west and of course I knew what to expect. What I didn’t know is how truly lovely the granite spires would be or just how breathtaking the views and how fresh that dry pine air would smell. We ended the drive with a visit to the visitor center built by the CCC, one more marvel of amazing workmanship and stately beauty. The CCC employed 29,000 workers just from South Dakota and contributed more than 6 million dollars to the local economy. I’ll not get political here, but every single one of us here in the US benefits from the beautiful work of the CCC. By the time we got back to camp, the skies were looking stormy and the winds were coming up enough to make opening the doors to our rigs a bit challenging. Roger grilled chicken and Nancy and I made a big salad and we convened at their roomy table for four to enjoy our dinner protected from the crazy winds. No time to enjoy the swimming pool tonight. Tomorrow we will be off to a different part of Custer State Park, and instead of a lake day, it will be somewhat of a town day as we explore Custer and some of those “attractions” that I mentioned earlier. Alliance, Nebraska. Cloudy and sputtering rain and wind and temperatures changing every few minutes. Usually, when rv-ing somewhere, I have maps and photos to help me keep track of where I have been and where I am going. I write leisurely stories with pretty pictures that remind me of our tours and travels and have fun doing it. At the moment, at the Sunset Motel and RV Park in Alliance, Nebraska, the last four days are just one big happy blur. We were camping in one spot, driving nowhere in the MoHo, and five rigs and several tents filled up the group site at Bear Lake Regional Park near Morrison, Colorado, within site of just the tips of the red rocks of Red Rocks Amphitheater. I took literally hundreds of photos, mostly of family, and many duplicates of group shots trying to get all those faces turned toward me and everyone’s eyes actually open. I have managed to keep up with photo processing, but I have a feeling that the Verizon signal in this remote little Nebraska town isn’t exactly photo friendly. I did think it might be nice to throw in an update for friends checking in, so here it is, sans photos. We are fine. We had breakfasts, and dinners out, and bike rides and some kayaking, and walking and laughing but no campfires. In spite of that, we managed S’mores over the bbq grill for some city kids who experienced them for the first time. With a short day of driving, we arrived at our planned night stop in Wells, Nevada rather early in the afternoon. The temperatures were still hot, and the parking lot at the Flying J, while big and fairly empty, left much to be desired in the way of ambience. Instead, we fired up the CampWhere app and discovered a couple of forest service campgrounds just 8 miles or so south of town. It helps to see the area on google maps, and see if the road into the east side of the Ruby Mountains looked passable. 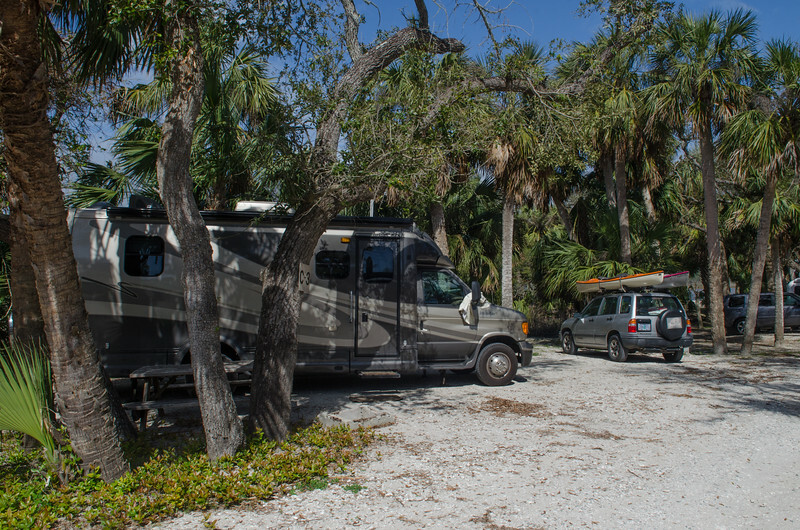 It also helped that one of the campgrounds had a size limit for motorhomes of 45 feet. Surely with a limit that high, the road must be OK. The higher elevation campground at Angel Lake has a 30 foot limit and we discussed the possibility of trying that one out. Driving the Angel Lake road was completely manageable as far as the Angel Creek Campground turnoff, and still a bit undecided we thought we would check out the campground before attempting to drive higher. I said, “Let’s just be safe and unhook before we go up this steep, winding road!” Mo agreed wholeheartedly as we looked up along the ridge to see something that looked like it might be the highway. The campground was delightful, with 18 sites, some too short for even our rig, and yet a few here and there that were plenty long for even the biggest rigs. The camp hostess was a delightful young woman living in a tent shelter with a nice big German shepherd companion. When we asked her about the Angel Creek Road she said without hesitation that we probably didn’t want to take our motorhome up there. We settled into our site, paid the half price fee of $6. with our senior pass, and unhooked the baby car for a trip up the mountain. Within a few hundred yards we were quite happy that we didn’t have the motorhome. The road is incredibly steep and the drop-offs to the valley below are hair-raising, at least for me, and even in the baby car I found myself leaning inward to supposedly avoid going over the edge. On our way up the mountain, a huge cloud of smoke from some far distant fires darkened the skies and with the added storminess, the final view of the small lake itself was a bit of an anticlimax. It certainly didn’t make us want to pull off the kayaks and jump in. We didn’t even pay the parking fee to let Abby go swimming, since all seemed a bit dingy and uninviting. The Angel Lake campground was a big surprise, however, with several really big rigs tucked into low shrubs and uneven sites with no actual view of the tiny lake. Sometimes these really high elevation lakes don’t invite me that much, they seem harsh and barren and inhospitable. In contrast, our little camp at Angel Creek seemed lovely even with the stormy clouds hovering and the smoke coming and going on the winds. Dinner was a simple quesadilla and a walk around the campground afterward made for a lovely ending to the day. We were in bed at a ridiculously early hour, with the wind blowing and rain spattering the roof now and then. With no hookups, but plenty of stored power from the day of driving, we were just fine for the second night of dry camping. I was so happy that we found another quiet, dark, beautiful place to spend the night since the rest of this trip is fairly well planned. This morning when we woke, there were was still a bit of cloudiness, but by the time we got to Utah the skies were fresh and blue and clear. We stopped at a nice little rest stop for a short walk before traveling east toward Salt Lake. My turn to drive, and once again the Garmin Girl proved her stuff, taking us along Route 201 to Salt Lake City rather than directly along 80 to I-15. I have driven through Salt Lake many times, and usually the traffic and congestion are horrendous. This time, however, it was a breeze, and we flew right through the southern end of the city and up the Park City grade without a bit of trouble. The grade was as long and steep as I remember, but the MoHo did just fine and traffic wasn’t terribly heavy so we were only slowed down once by trucks trying to keep moving in the two left lanes. Once we were on I-84 we called brother Dan to see how the other 2/3rd’s of our caravan were doing. They were just an hour behind us, having spent the night at the friendly Walmart in Mountain Home where Don was once stationed when he was in the Air Force. Mo and I arrived in Rock Springs in time to stop in at the local Walmart for some RV toilet supplies before we drove back to the KOA where we had reservations for all three rigs for the night. Within an hour Dan and Roger joined us and we all were set up in a row in three easy pull through sites with full hookups. We could have easily boondocked another night, but when planning the trip, we were unsure of the weather, and with others in the group everyone decided that a hookup night would be good. The Walmart here in Rock Springs already had some folks parked, and it seems that is one of the “ask to park” stores that welcomes RV’rs. We had no campfire, but we all sat around the rug and caught up on our travels and already the family stories of kids growing up along the Columbia River in Oregon started making the rounds. I am sure that during the next few days we will hear many more of these kinds of stories, one of the more fun parts of family reunions. One more great surprise was in store for me. Usually when Mo and I are on the road and my daughter Deanna is trucking somewhere we are one interstate off, or going the wrong way, or on the wrong side of the country. Yesterday morning I called Deanna and told her we were on I-80. She laughed and said,"Oh we are too, but we are way north of you”. They were heading west from Ohio, and going through Rock Springs ! I told her no matter what time it was to call me and she did. At midnight, we got the call, and Mo and I snuck out in the Tracker to drive 4 miles up the road to the Flying J where I got to have a two hour cup of coffee with my daughter before she took over the driving the rest of the way west. Hmm…coffee at 1 am? We came home and I tried to go to sleep, but of course that was silly. After awhile I thought that maybe processing photos and trying to blog a bit was better than lying there in the dark with my mind spinning! Now it is after 5am, and soon we will be continuing our trek east toward Colorado. Something tells me that I may need to doze a bit today while Mo drives, ya think?? We have spent a lot of time this past year traveling the coast and the western valleys of Oregon and California. Our little winter time jaunts to Desert Hot Springs require a lot of traveling south along interstates. One of the advantages of living in this part of Oregon is that the northern high deserts are just a skip away to the east. For this trip to Colorado, we decided to follow our infamous Highway 140, (the one we take to Medford all the time) due east toward Lakeview, over the Warner Mountains, and south to Winnemucca. At the moment, we are on I-80 heading east from Winnemucca toward Wells, where we plan to find a resting place. Interstate traveling at its mind numbing finest, but the visions of the last evening and this morning are still fresh in my mind. We are on our way to a family reunion, and Mo’s brothers are traveling east this morning as well. Original plans included all of us leaving this morning, and Roger and Nancy planned to come south to Rocky Point to caravan with us. Instead, they traveled north to caravan with Dan and Chere, and pick up brother number three, Don on their way east past Umatilla, Oregon. Mo and I were almost ready to go on Saturday night, with only a mid-afternoon Sunday anniversary party to attend, and we looked at each other and said, “Why wait till Monday”. The original plan also included a driving day of more than 500 miles, not something we were particularly excited about. Instead, we dropped in on the party, and dropped right back out again and were on the road by 2:30 Sunday afternoon. Made for a bit more of a rush on Sunday morning, but well worth it. We haven’t traveled 140 east for some time, and spent much of our conversation trying to remember which routes we had taken on which trips and during which years! What we both remembered, however, was that the road east of Lakeview was narrow, but quiet and beautiful and we knew there would be someplace where we could spend the night on the boonies. This route is the one we have taken a few times, visiting the amazing Hart Mountain Reserve, camping at the mysterious and magical Steens Mountains, and returning through the Sheldon Wildlife Refuge looking for wild horses. We love the desert, and yet somehow we had forgotten just how much we love it. The vistas opening out to nothing, the roads empty of anything but stray cattle, the spacious skies all make for spacious open mind thoughts, uncluttered. Love that. We got gas in Lakeview, at $3.73 per gallon, after realizing that the next reasonable gas was more than 200 miles distant in Winnemucca. Driving over the Warner Mountains was quick, and in no time we were dropping down the basalt canyons toward Adel. The meadows opened up to the south of the highway, and a wide level pullover shaded by a single juniper called to us. By 6:30 pm we were settled in with the slide open, the jacks down, and dinner in the skillet. Both of us were happy to have an extra 150 miles under our belts so our Monday drive to Wells would be a manageable 350 miles or so. The silence was beautiful, and Mo and I just relaxed, and read a bit, talked a bit, and then started laughing when we couldn’t figure out what the animals outside our rig munching happily on the grass should be called. I wrote to Jenna and hopefully she can answer me. We called them cows, but then thought that cows are only females. Then we had the conversation about what is a heifer, and what animal do you castrate to make a steer if it isn’t a cow, and it is obviously a boy.. We went down the lane with a cow moose, a cow buffalo, a cow elk, and the a cow cow, of course. Then a bull cow? like a bull elk? This is the kind of silliness that can overtake at a boondock site in the middle of nowhere. The goal is to reach Rock Springs, Wyoming on Wednesday where we will hook up with the brothers and their rigs and camp with hookups at the KOA. Then we will all caravan east toward Laramie, and then south to Lakewood and the rest of the family. I would imagine this first night in the middle of nowhere in Eastern Oregon was possibly the quietest night we may have on the entire trip. Our only sounds were the cows and a very occasional car passing by. The stars were brilliant, even the ones low on the horizon, just as I remember from so many years ago at Hart Mountain. This morning we were treated to high pink wispy clouds to greet the day, and then even a bit of rain between Denio and Winnemucca. I haven’t seen rain in this part of the desert for a very long time, in fact, I don’t remember ever seeing rain in this part of the high desert. I drove this morning, Mo took over at Winnemucca, and before long we will be hunting for another desert boondock site. I enjoy a good glass of wine, two buck chuck or a really fine glass of Pinot Noir, it’s all fun. I spent a lot of years in California, and went wine tasting with friends in the Napa Valley when tastings were free. I am certainly not educated about wine, and usually have to read the label to know what I am supposed to be thinking when I taste something. My palate is just barely sophisticated enough to recognize oak-ey, which I love, and a few others now and then. Going wine tasting always seems to be a bit more than I want to tackle on my own, and Mo and I will drop into a tasting room now and then if it isn’t pretentious and looks like fun. Enter our neighbors and friends, Wes and Gayle. We couldn’t ask for better neighbors, but I am a bit sorry that they are only here in the summertime. The advantage of this is that we can visit their gorgeous Tucson home during the winter months if we get down that way. Having them here in the summer is great for selfish reasons as well, since they are our house sitters when we are gone and Wes does a mean job of taking care of the lawns. Wes and Gayle know how to travel and how to have fun, and one of the things they do periodically is travel the Applegate Wine Trail between Medford and Grants Pass. We all decided to spend a sunny summer day together enjoying the beautiful vineyards and wineries on the Applegate. It was fun for us since Wes did the driving and they both know the area well, including which wineries we wouldn’t want to miss and which ones might be something to save for the next trip. I spent most of the day in awe of the incredibly gorgeous blue skies, with just enough puffy clouds to make it interesting, breathing in the fresh air and trying to capture the brilliance of the summery moments with my camera. I couldn’t capture the smell of the grape vines, and hard as I tried, I couldn’t capture the feel of the summer breezes filled with the fragrance of rich soil, moist riverbanks, lush flowers, and leaf heavy maples, oaks, sweet gums, and all the other unnamed deciduous trees we can’t grow on our side of the mountain. Of course, the happy ambience created by a few tastings of vino certainly added to the warm, fuzzy feelings that I carried around with me all afternoon. Spending time with good friends doing happy things was wonderful as well. We started at the southern end of the valley, near Ruch, Oregon, just a few miles west of Medford and Jacksonville. Valley View Winery was one of the first in the Applegate, and while the website says it was first established in the 1850’s, the attendants mentioned that when they opened their tasting room in the early 70’s they were one of only 4 wineries in the valley. Now there are 20 and more coming every year. I discovered that the websites tell what the tasting room policy is for tasting fees, which might have been nice to know ahead of time. Wes and Gayle thought that almost all the wineries they visited a couple of years ago had no fees, however things have changed as the Applegate catches up to the rest of the wine tasting world. Still, a few had no charge for tasting, and a few refunded the tasting charge with a purchase, and the standard $5. fee was certainly less than the $25 and more fees in Napa or Sonoma. While searching about for the winery links, I also found this little treasure about Tasting Room Etiquette. Might have been a good idea to read this before we embarked on our day trip! After a lovely flight of whites and reds, and a purchase of a 2006 Anna Maria Cabernet, we ambled on down the road to the Fiasco Winery. I am not quite sure how the name came to be, but with another tasting fee and an attendant who wasn’t quite as personable, we decided that we were happy enough to check out the tasting room and move on to the next winery. The best part of Fiasco was the winery dog, and in their tasting room shop was a little book called “Every Winery has a Dog”, with some great photos and stories of the companion dogs that many wine makers seem to have. We even met a few more as we continued on our way. With a few stops in between, we came to the newer and incredibly lovely Red Lily Vineyards . Only opening their tasting room last fall, they have been making excellent wines for several years from their own vineyards around the valley. The grounds were gorgeous, and the attendants delightful. We tried a taste of their beautiful and tasty Lily Girl Rose and decided it would be the perfect choice for our picnic wine for the day. I am still wishing that I had purchased a few bottles of that lovely summer wine, but I’ll know where to find it. Gayle had come prepared with a wonderful spread of cheeses, crackers and flat breads, amazing gourmet pickles, olives and a feta olive oil garlic spread she had made, all with fine little dishes and pretty napkins. The winery has a delightful picnic area by the river with shady tables and a bandstand for music. They even provided us with a bucket of ice and glasses to enjoy our purchase with lunch. After our relaxing and tasty repast we ambled on up the highway to Gayle and Wes’s favorite winery, the big old barn housing the tasting room for Bridgeview Vineyards and Winery. With no tasting fee here we enjoyed a flight of excellent, very reasonably priced wines, and discovered the great Pinot Gris and Dry Reisling that the valley had made famous. After another purchase of some nice wines, I walked around in the vineyards trying once again to capture the feeling of that air and light. Impossible. In our happy haze ( the girls, not the driver!) we continued north along the east side of the valley to Wooldridge Creek Vineyards and Winery. We had all decided that perhaps we had tasted enough but that didn’t dampen our enjoyment of the beautiful grounds and tasting room. Again we met a winery dog and even a winery cat. Passing several more vineyards, we stopped in at Troon Vineyard to check out the digs and appreciate the beautiful gardens and vines. Skipping the tastings for the rest of the afternoon was just fine. After awhile it all starts to run together and I have no idea how you could keep on tasting all day. Must take practice! We ended the afternoon at the Schmidt Family Vineyards , another of the oldest in the valley and possibly the most beautiful gardens of any of them. The tasting room was constructed in the old roundhouse for the railroad that once traversed the property and was gorgeous. The porches were cool and inviting, with views of the gardens and many comfy chairs and tables set about for relaxing with a glass of wine, or just relaxing and enjoying the conversation and the views. Once again I tried to take photos of the breeze. I am sure some great photographer knows just how to do this, but not me. Still, when I look at the photo, I remember that warm breeze even if no one else has a clue. I took a LOT of photos, and if you want to check them out they are here. Here is the google map of our little day trip in case you are ever in Oregon and decide to do a little wine tasting in the lovely Applegate Valley. We are now packing up for our three week jaunt to Colorado, South Dakota and Wyoming and by this afternoon the lush green of Oregon will give way to the wide open deserts of northern Nevada as we head east on curvy Highway 140 and then south to Winnemucca. Yay! We are on the road again! !